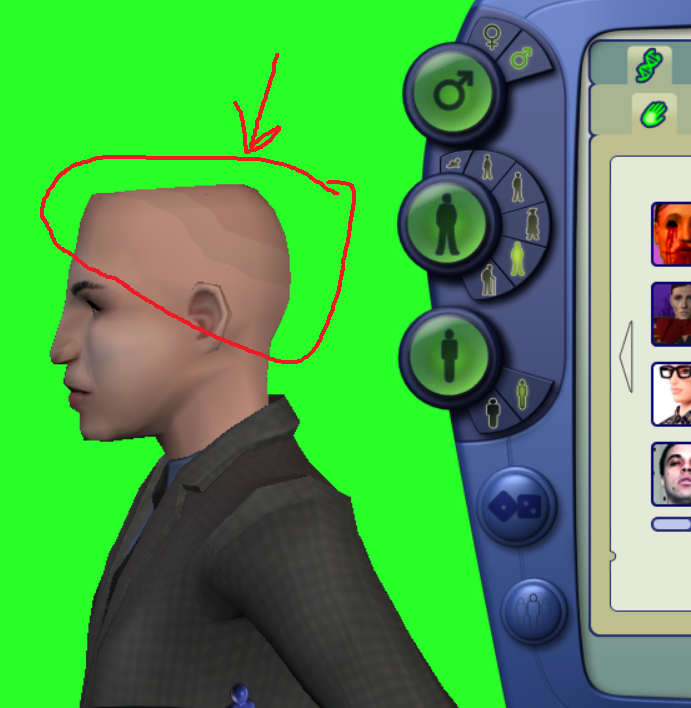 Mod The Sims - Tried making a custom shapped scalp/hair in the Sims 2 and the texture for it is weird. how can i fix this? Tried making a custom shapped scalp/hair in the Sims 2 and the texture for it is weird. how can i fix this? Replies: 1 (Who? ), Viewed: 537 times. ^the texture around the head is really weird for some reason. it looks like this for all the skins too. Have you checked the texture size? Bodyshop can sometimes (if it doesn't have the right settings) make textures smaller.